Official results from the 6th Annual Pride Track & Field Meet are now available. 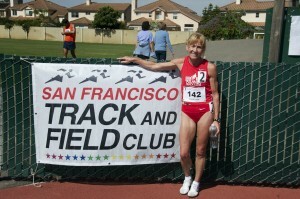 The most notable is Lesley Chaplin-Swann of Georgia broke American record for her age group in the Mile! Congratulations, Lesley! For details and more results, please visit http://www.pridemeet.org/results. For fantastic collections of photos, please also visit http://www.pridemeet.org/images-videos-quotes.